Changing out or refinishing your bathtub can have a dramatic impact on the rest of your bathroom; after all, brand new tile and paint still looks unsightly next to a worn out, chipped, or stained bathtub. 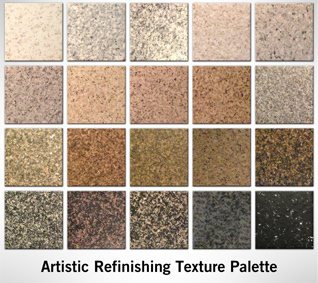 Depending on your circumstances, including the amount of time you want to invest in the project and the current state of your tub, you can replace or reglaze it to complete your bathroom update. Reglazing a tub requires several stages, although the process can vary depending on the materials used. A professional cleans the surface of the tub thoroughly, and then applies an acid to create a rough surface, which will allow the glaze to adhere to the tub and prevent peeling or chipping later. After the glaze cures, the tub is sanded, buffed and then polished. When replacing a tub, the amount of labor involved can vary drastically. If everything is straightforward, the existing tub is demolished, the pieces removed, and then the new tub is installed. Depending on the home, some pipes and flooring may need to be upgraded or replaced, and at least a portion of the tub surround will need to be removed, and subsequently replaced, as well. All of this is assuming the home, and the bathroom specifically, is in good condition. Overall, unless you have a stand-alone tub, reglazing requires significantly less manual labor than replacing the tub. The amount of labor involved in the process will obviously affect you more so if you’re doing the work yourself; however, the amount of labor will impact the cost of the project, and the amount of disruption your household experiences during the project. Unlike many projects, where the amount of labor involved is indicative of the timeframe for the project, reglazing and replacing a tub do take about the same amount of time, provided there are no problems during demolition or installation of a new tub. Before a bathtub can be refinished, all of the mistreatment and its remnants must be addressed. Bathtubs can collect years of soap scum, body oils and cleaner residue trapped beneath the pores of the surface. They also can be subject to deep pitting and staining after the protective coating wears away. Before the first coat of enamel can be applied, each bathtub has to be cleaned thoroughly. A compound must then be used to etch the tub. After the surface is completely clean, dry and free from debris, the bathtub must be masked off so that no other area beyond the tub is refinished. Finally, the enamel is sprayed on in several coats, giving you a new glossy finish. This is because there is a waiting period between each stage of the reglazing process. Both projects generally take between one and three days, provided there’s no unforeseen issues. The bathroom is more likely to be out of commission entirely when replacing the tub, while reglazing typically only affects the use of the tub itself. These time frames are also based on a smooth, problem-free renovation project during the replacement of the tub; as with most large-scale home projects, many things can cause delays, which means replacing the tub can potentially take much longer than reglazing it. If you remove the existing tub and install the new one on your own, replacing can be a relatively cheap process, with most tubs starting at around $200, although a quality product will likely cost upwards of $1000. If you don’t do the labor yourself, the cost can go as high, or higher, than $3,000 total. Reglazing is usually less than $300, although this can vary by area and contractor. It is important to note that while there are reglazing kits for sale at home improvement stores, the vast majority of experts recommend against using this type of product, as the glaze typically either doesn’t turn out right or wears out incredibly quickly. Still, even with a professional, reglazing can be cheaper than replacing a tub if you aren’t comfortable removing and installing a tub on your own. If you have an older yet well-made tub and decide to have it professionally refinished, the end product will often be of higher quality than anything you could purchase in store for the same price. In many cases, new tubs are not made with the same quality material or craftsmanship as older ones are, and reglazing can give you an incredibly well-made, well-maintained end product. However, if you’re starting out with a “modern,” low-quality tub, replacing it with something of higher quality, rather than reglazing, will typically give you the best results. Click Here to view our Online Gallery! Previous Previous post: Variety with refinishing!